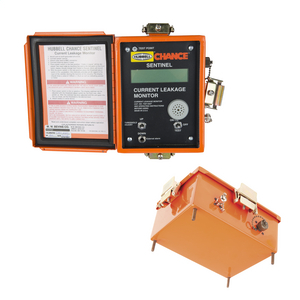 To alert utility-line workers of overcurrent conditions on such aerial devices as insulated ladders and truck booms, the Chance Sentinel sounds an alarm if leakage current reaches a pre-set level. 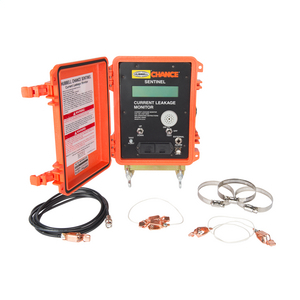 The Chance Ladder Monitor Kit is used in connection with EHV Barehand maintenance procedure to detect microamp leakage on the ladder before it is placed into use. 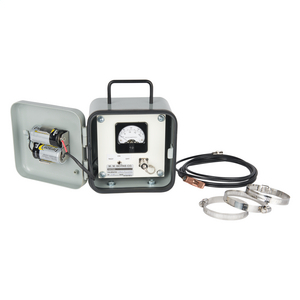 To alert utility-line workers of overcurrent conditions on truck booms, the Chance Sentinel sounds an alarm if leakage current reaches pre-set level.